[Sat Dec 29 11:16:03 2018] Your faction standing with Arcane Scientists has been adjusted by -25. [Sat Dec 29 11:16:03 2018] Your faction standing with Knights of Truth has been adjusted by -6. 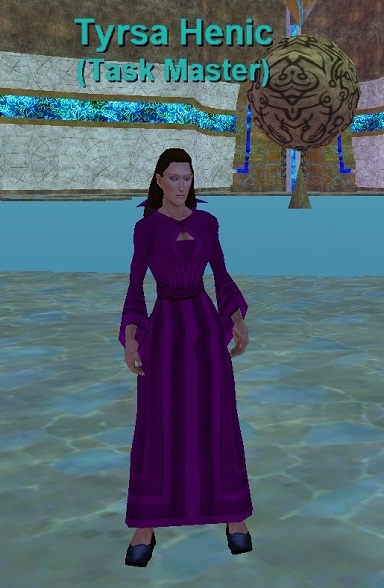 [Sat Dec 29 11:16:03 2018] Your faction standing with Opal Darkbriar has been adjusted by 3. [Sat Dec 29 11:16:03 2018] Your faction standing with The Freeport Militia has been adjusted by 3. [Sat Dec 29 11:16:03 2018] You receive 1 platinum, 1 gold, 6 silver and 8 copper from the corpse. [Sat Dec 29 11:16:03 2018] You have slain Tyrsa Henic! When in trouble, or in doubt; run in circles, scream and shout! I believe you're correct, and I think I've discovered how I became KOS. I've camped Hadden in Qeynos Hills several times, and at the beginning would often kill his friend Rephas out of sheer boredom. That's where I went wrong. When Rephas died I took a severe faction hit for Arcane Scientists, which is indeed the Freeport Casters Guild. My faction with them is now so bad that I can't even approach Rephas OR the guild without being attacked. I've killed a few Freeport guards since my research implies that they and the Scientists are at odds, I'm just on the verge of being KOS to the guards now. I suppose the next step is to murder several hundred of Opal Darkbriar's minions and see how that goes. If I can manage to become Indiff through whatever means present themselves, I'll be able to to the Rephas Ratears quest to bring the A.S. faction up higher. If anyone has any ideas, I'd sure like to hear them! My guess is that she is on "Arcane Scientists" faction.